Tink's will make a delivery to CFM this Wednesday. Check out the price list below, email your order to info@tinksbeef.com (order deadline is tomorrow at 5), and leave cash or check at the box by Wednesday morning (meat will be delivered Wed afternoon...payment is due at the time of delivery). FRI 09.28.12 PARK WOD SUNDAY! 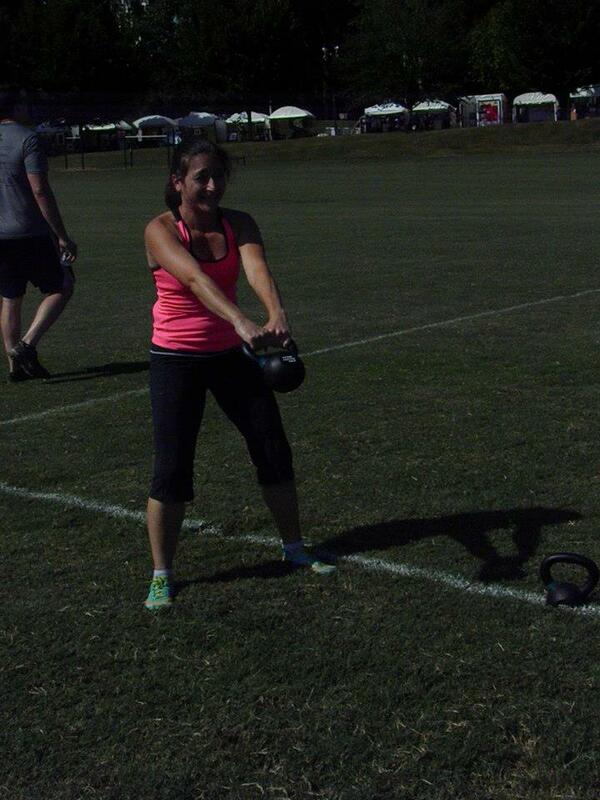 Hooverball, free WOD & yoga in the park! 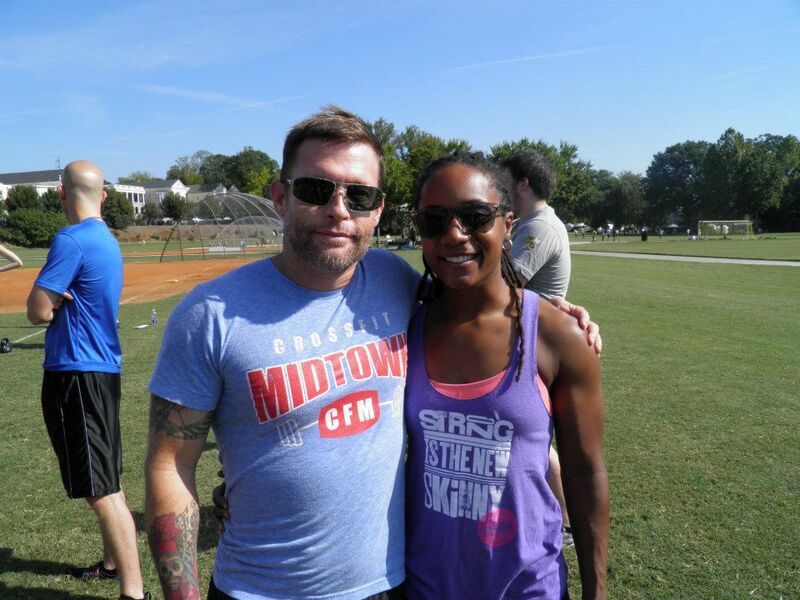 Please wear your CFM gear to the park this Sunday to join us for a park WOD! This Sunday, 9/30, we're moving our monthly community WOD from lululemon howell mill to the park. LET'S GET A HUGE CREW OUT TO THE PARK SUNDAY FOR A FUN PARTNER WOD! Meet at the sand volleyball courts at 10am for a warm-up and free WOD (open to the public, suitable for all fitness/skill levels) followed by our weekly Hooverball game. THEN, Sunday night at 5:30, let's head back to Piedmont Park to join our friends at lululemon howell mill for 10th & Flow, a huge donation-based yoga event at Piedmont Park, raising funds for Children's Healthcare of Atlanta's Strong4Life... an organization fighting childhood obesity. Tink's will make a delivery to CFM next Wednesday. 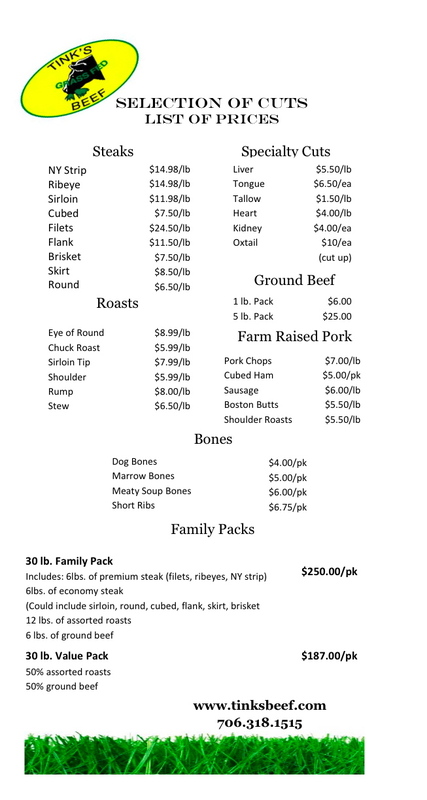 Check out the price list below, email your order to info@tinksbeef.com, and leave cash or check at the box by Wednesday (meat will be delivered Wed afternoon...payment is due at the time of delivery). Namaste! Join us every Wednesday at 1:15 for yoga with Beth. We'll be adding new classes to the schedule soon, with instructors Beth, Monica and Amy! Let’s be real for a moment. Making the decision to commit to the Whole Life Challenge was not easy for most of us. Hell, even making the decision to join the gym was probably something many of us had to sleep on. Why? Because, there are a million excuses why not to eat well/CrossFit/take care of yourself, etc. There are so many things we face each day that threaten to get in the way of the goal of a healthier lifestyle. But we try anyway because our goal is important to us. And at the gym we have our CFM family there cheering us along as we limp through burpees or do our pullups in sets of 1. And celebrating with us when we destroy the WOD that day. We convene to discuss all things diet, and to talk each other off the proverbial ledge when temptations prove to be almost too strong to resist. But what about the days when you’re not at the gym? When you’re alone trying to get in your workout for that day? When you’re pissed at the world and just wish you didn’t have to cook so much. That’s where the rubber meets the road. That’s where champions are made. You don’t have to win medals, or even win a prize in this challenge, to be a champion. The Whole Life Challenge is a competition for your life. For a better you - in whatever capacity you allow. This is the chance to prove to yourself that you can and will make positive changes in spite of the negative influences you’re faced with. And to remind yourself that if you falter, or take a step backward, that’s all it is. One step. And you can forge ahead with the knowledge that you have the capacity to make your life exactly what you want it to be. This is your chance to make a life you’re proud of, whether you’re surrounded by people watching you or you’re all by yourself. This is your opportunity to be your own champion. This Sunday, 9/30, we're moving our monthly community WOD from lululemon howell mill to the park. LET'S GET A HUGE CREW OUT TO THE PARK SUNDAY FOR A FUN PARTNER WOD! Please wear your CFM gear and meet at the sand volleyball courts at 10am for a warm-up and free WOD (open to the public, suitable for all fitness/skill levels) followed by our weekly Hooverball game. 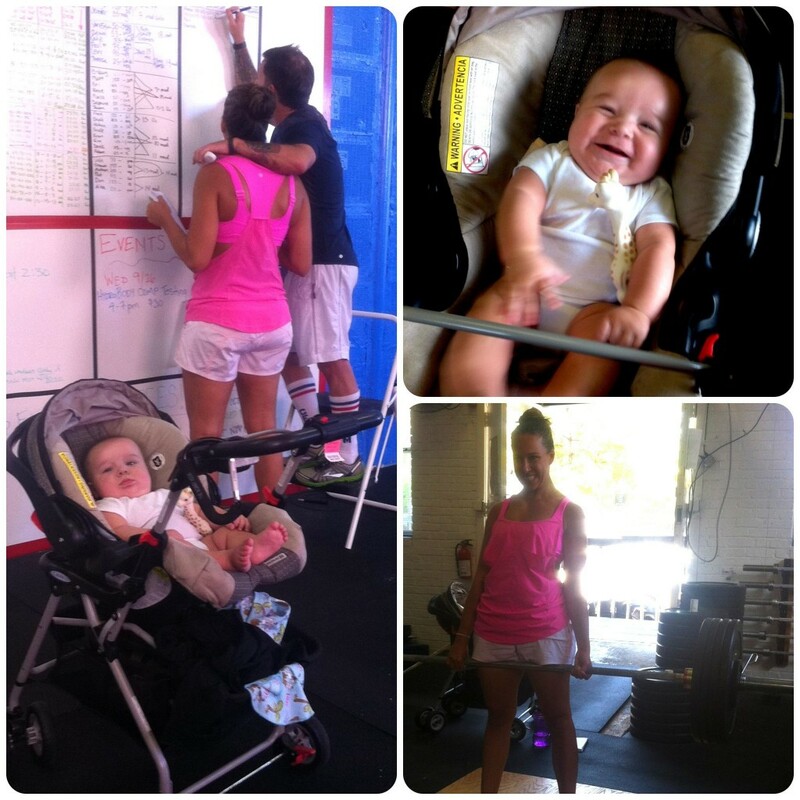 Congrats to Anna on doing her first strict pull-ups last week. And she repped out three in a skirt suit, at that! Back in June she was on a black band for pull ups and now she's showing off unassisted strict pull ups regularly in the gym. Be sure to ask her for a pull up next time you see her at CFM! Body comp testing has been cancelled. The truck/test operator had a death in the family. Those who signed up will receive a complimentary test when he reschedules (probably next week... stay tuned for details). 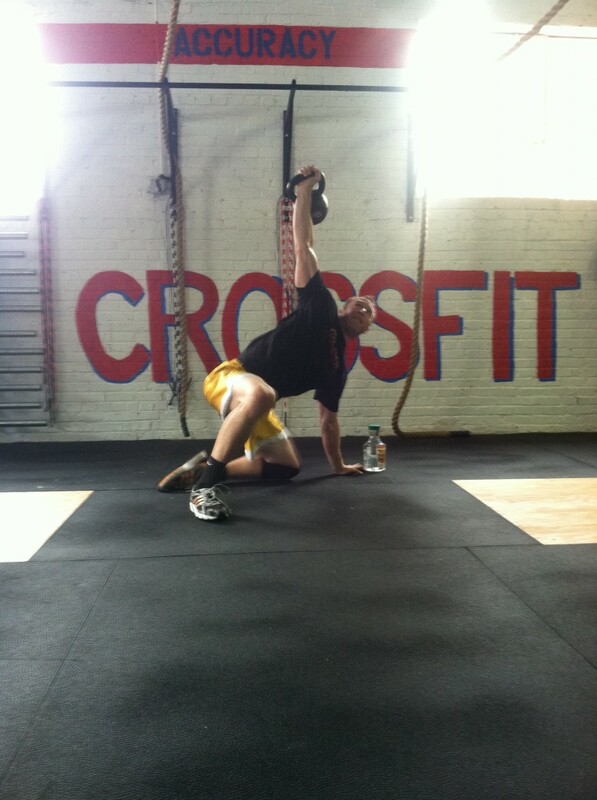 CrossFitters need yoga. We can all benefit from being more mobile, mindful and having better body control. That's why we're psyched to announce that CrossFit Midtown will be adding yoga classes to our regular schedule. Eventually, we aim to offer four classes a week at various times, but we're starting with one. Who can attend? : All CFM students are welcome to attend. This will count as one of your regular weekly classes, so you will check in as usual. Guests are also welcome to join the class for a $15 drop-in fee. DON'T FORGET YOUR YOGA MAT! Who's teaching? 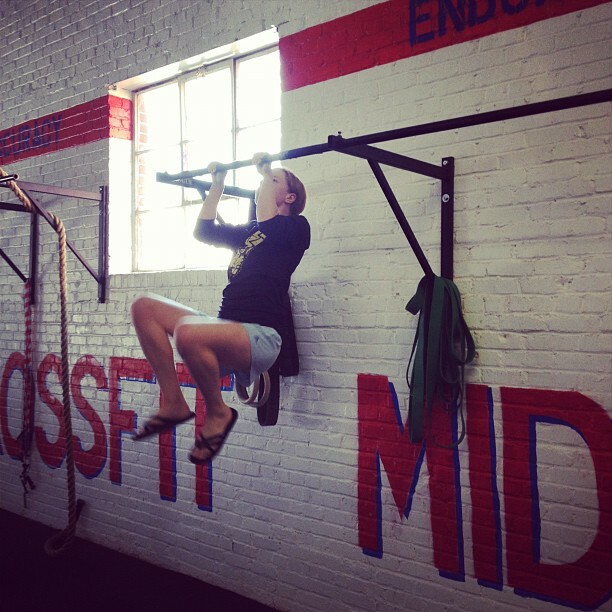 :Beth was the first student to register at CrossFit Midtown! Aside from being #1, she's also a talented yoga instructor, so I am thrilled to add her class to the CFM schedule! Beth is a 200-hr Registered Yoga Instructor and a licensed psychotherapist with a private practice in Midtown Atlanta. She has been practicing yoga for 11 years, starting when a friend introduced her to Bikram Yoga (a type of hot yoga) in 2001. She now teaches and practices a vinyasa style for all levels. She incorporates therapeutic yoga into her classes by focusing on common musculoskeletal imbalances and working toward creating a balance between core strength and flexibility. She is currently in the internship phase of her training with the Pranakriya program in Atlanta and will be a Certified Yoga Therapist and 500-hr instructor by March of next year. Beth also leads therapeutic, mindfulness based and trauma sensitive yoga groups in her counseling practice. She believes anyone can practice yoga and loves working with beginners. No experience or flexibility is required to start, but you will become more flexible with practice. There are modifications of every pose that can make yoga accessible to anybody. Do what you can with what you have, where you are now, without judgment. Acceptance is the heart of yoga and the key to creating positive change. *It's a kettlebell movement. We'll teach you! 09.25.12 DAY 11. That’s like 1/5 of the way through WLC! A lot of WLCers were entered in this week's prize drawing, thanks to perfect scores on nutrition, fish oil, mobility and/or exercise, as well as logging points and/or reflections every day. Basically, you get rewarded for logging your points, so DO IT! Bri snagged a case of Vita-Coco. Laura S got tickets to Joshua Radin, courtesy of Rock 100.5. POB scored a $50 CFM Pro Shop credit. And this week's Friends & Family winners are Michelle D, who is now $50 richer, and Rachel J, who wins a CFM shirt & a bag of Paleo People granola! Finally, rock star intern Courtney got F O R T Y - S I X friends & family to get in the game and participate in the Whole Life Challenge. Her prize is a case of Vita-Coco and $50. If you have any score problems, disrepancies, or other WLC questions, please email them to us at wlc@crossfitmidtown.com. Your prelims scores and measurements have also been entered, so check out your profile and holler with questions. Weekly Yoga starts Wednesday at 1:15 at CFM! Family strength! Alicia and Xavi. Incidentally, Xavi is already deadlifting twice his bodyweight and doing regular prowler pushes with his crib. 09.24.12 FAREWELL COLMAN & PAUL! Two of our Ri-Ra buddies, Colman and Paul, are departing this week to tour the US before heading back to Ireland. Join us at Publik (next to the Fox) tonight at 9 for their going away party. It's been a pleasure having you guys in the gym.We'll plan a CFM vacation to Ireland ASAP for a visit! Whole Life Challengers: Congrats on your first week down! This Sunday, 9/30, we're moving our monthly community WOD from lululemon howell mill to the park. Meet at the sand volleyball courts at 10am for a warm-up and free WOD (open to the public, suitable for all fitness/skill levels) followed by our weekly Hooverball game. 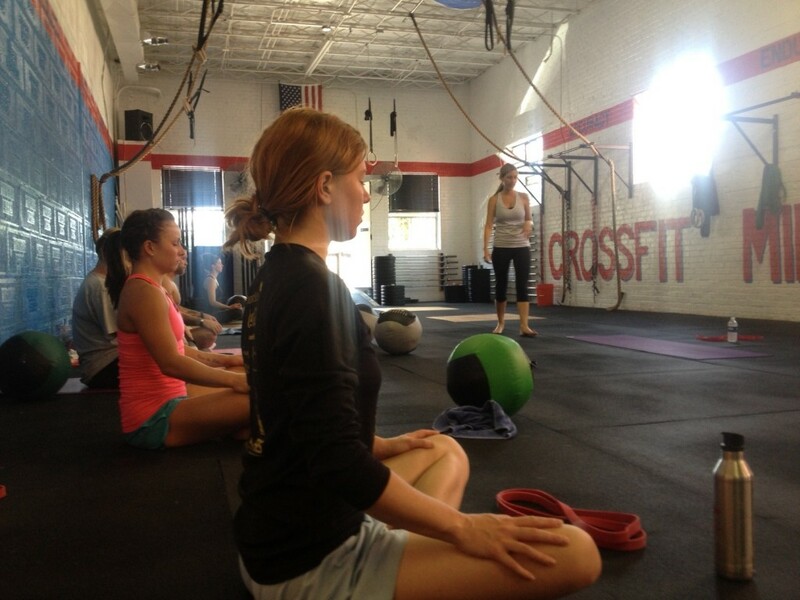 We're psyched to announce that CrossFit Midtown will be adding yoga classes to our regular schedule. Eventually, we aim to offer four classes a week at various times, but we're starting with one. Who can attend? : All CFM students are welcome to attend. This will count as one of your regular weekly classes, so you will check in as usual. Guests are also welcome to join the class for a $20 drop-in fee. Molly Metz, world jump-rope champion (yes, apparently they have competitions for that stuff!) and viral video legend (see her video of 10-minutes non-stop double unders below), is coming to CFM on Saturday, October 20 for a jump-rope workshop from 9 to 11 am. You'll be a double under pro after she's done with you. Cost is $45. Register here. *CFM's 10 am class will relocate to Piedmont Park on 10/20, but the 11am class will be held at the box as regularly scheduled. Join us at Publik tonight at 9 to bid farewell to Colman & Paul (pictured here after a date with the AirDyne). We wish you all a fabulous weekend. For everyone enjoying Music Midtown, be safe & have fun! We should totally play some Animal or Dog Days or Monkey Wrench in class today... name those artists. As usual, we're playing hooverball this Sunday on the Piedmont Park sand volleyball courts at 10am. Come out to play. It's easy to learn and a great time!! Next Sunday, we're moving our monthly community WOD from lululemon howell mill to the park. Meet at the sand volleyball courts at 10am for a warm-up and free WOD (open to the public, suitable for all fitness/skill levels) followed by our weekly Hooverball game. 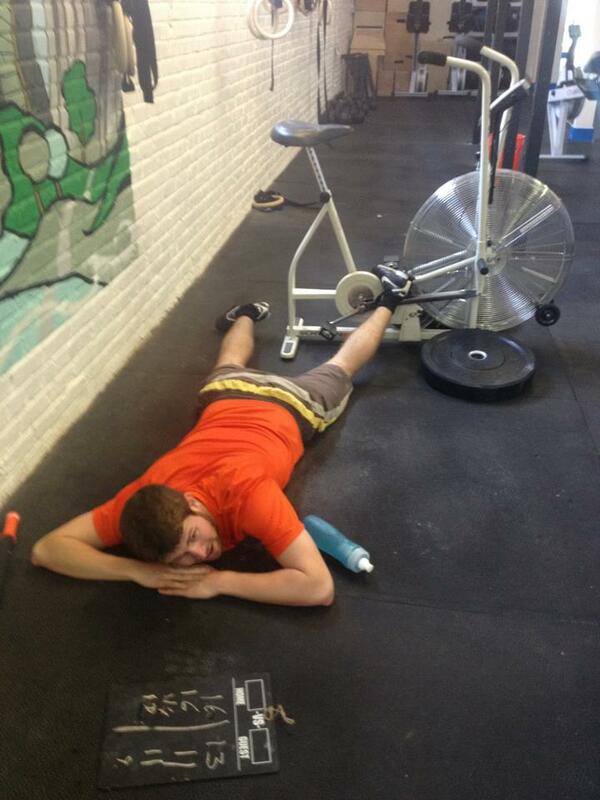 **Advanced athletes scale up to GHD sit-ups. Scale up to double-unders ONLY if you can complete all DU rounds in 3 sets or less. If scaling up to GHDs and DUs, increase rest between rounds to 90sec.